For the third year running, we are celebrating a vital holiday – National Coffee Day – in each of our 10 North American locations with complimentary coffee for our members. * Why? 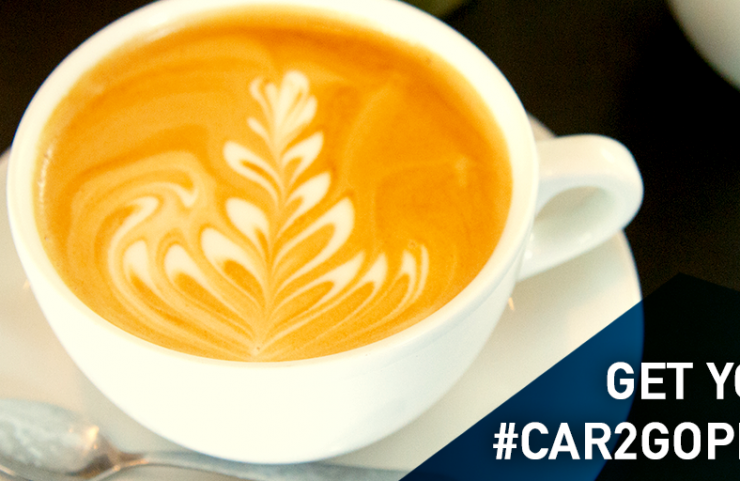 Because we love you – and appreciate you – a latte! For more information on the sweepstakes, including Official Rules, click here. Where: Filter Coffeehouse and Espresso Bar at 1726 20th St NW. *Terms and conditions apply. Proof of car2go membership required. Available while quantities last. **No purchase necessary. Open to legal residents of Canada and the United States who are age 18+ as of the date of entry. Ends September 30, 2018 at 11:59:59 PM PT. For Official Rules, see https://www.car2go.com/NA/en/contest-rules/. Void where prohibited.